Do you really need unpaid publishing work experience? Introduction to Editorial Skills has been created in collaboration with some of the UK’s major publishing houses, to offer a comprehensive introduction to modern publishing processes and the key publishing skills of copy-editing and proofreading. For the very first time, the PTC is offering new editors the opportunity to learn proofreading and copy-editing skills, on-screen and on paper, in tandem. This is also the first PTC open course to offer PQB certification. The course includes expert advice and practice carrying out on-screen and paper-based editorial work in a range of different types of content, and for both print and digital output. Individuals working in book or journal publishing, in-house or freelance, wishing to develop copy-editing and proofreading skills, including editorial assistants, copy-editors, desk editors and production editors will benefit from this course. In addition, students wishing to start a career in publishing with formal training in editorial skills, as well as those who have to proofread and copy-edit as part of their job. Learn how to: use the key skills of copy-editing and proofreading for various different types of content; understand how different methods of working impact the modern editorial workflow; and appreciate how the roles of the copy-editor and proofreader fit within today’s publishing process. The course offers a unique three-step blended learning approach that combines self-study, a two-day classroom group course, and distance learning assessment. Content marketing enables publishers to create and distribute valuable, relevant and inspiring content that appeals to target audiences; and to effectively promote brands by connecting with readers in a deeper way than just telling them a product is out there. It aims to talk to customers on their own terms, introducing them to a brand, exciting them and moving them along the buying process or developing loyalty. Driving sales, data signups or other actions are proven to be more responsive through content marketing than straight forward online adverts alone and this course is a practical introduction to understanding the broad strategy, techniques, styles and distribution techniques required for a successful campaign. Marketing professionals, editorial staff and anyone who is required to promote a brand will benefit from this course. Learn how to: attract and engage customers through the creation of relevant, compelling content that has value for your audience; put together an effective content strategy and create a content calendar to deliver it; use social media to distribute and amplify your content’s reach; use content marketing as an SEO tool; and measure your success. Marketing and Sales teams are producing more material than ever; the “super proof” is having a renaissance, and #BookPost shows that creative marketing concepts for the trade are more influential than ever. And all the while, digital design moves on apace, offering ever-changing opportunities. A modern marketer needs to be able to collaborate effectively with design colleagues, commissioning strong work across media, translating the strategic needs of a book campaign into persuasive artwork without looking over their shoulder or trying to design it themselves. This course, which will benefit junior and mid ranking marketing people, and sales people who commission design work, will help you get it right with minimum fuss and friction. Learn how to: be aware of a designer’s needs and priorities; understand the dynamics of a creative collaboration; turn a strategy into a creative brief; brief tightly yet keep an open mind; and feed back constructively yet candidly. Some content requires more than just quick copy-editing. This course, which combines practical exercises with group discussion, will help you assess and improve these texts efficiently and effectively. You’ll work on your own, in pairs and as a group to analyse the stylistic problems of different types of text, look at a range of solutions and adjust presentation and construction to guarantee effective communication. The result? New skills and techniques that you can use to tackle future problems. Learn how to: explain why a piece of writing doesn’t work; present strategies for improving pieces of writing; adjust the level and tone of a piece of writing; apply the techniques learnt to any text to enhance its accessibility and sense. This intermediate-level three-step course takes print and digital copy-editing and proofreading knowledge to the next level, instilling confidence in dealing with the trickiest of editorial challenges. Following on from Introduction to Editorial Skills, and using the same three-step blended learning approach, students will be able to work on-screen and on paper. Anyone who already has some publishing experience, knowledge of proofreading and copy-editing, or has completed the introductory course, will find this an invaluable way to develop their skills further. 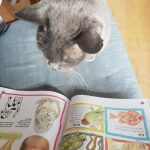 It has been created by a team of industry experts, all with experience of working within the largest UK publishing houses, and is taught by tutors who have all worked as senior copy-editors and proofreaders. Anyone with some prior experience of working in book or journal publishing, wishing to build on existing copy-editing and proofreading skills, including editors, project editors, production editors and managing editors will benefit from this course. Recognise the importance of appropriate author liaison throughout the editorial process. 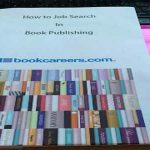 Would you like to know EVERYTHING there is to know about job searching in book publishing? Are you beginning your job search? Or maybe you’ve been looking for a while and getting nowhere. Whether you are established in your publishing career or just starting out, this course is for you. You will learn all there is to know about how to find a job in book publishing. Even if you think you already ‘know it all’ you are likely to come away from the course having learnt something new. We incorporate all aspects of job searching – from CVs, covering letters, interviews (including competency based interviews), networking, social media, Recruitment Consultants, branding, where to find jobs – and add in lots of valuable inside information that is essential in today’s ever-changing job climate. The industry is changing at a rapid rate and so is the way that employers recruit staff. 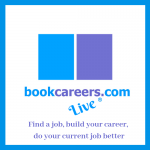 Bookcareers are right at the front of the queue when learning about these changes, as we are regularly in touch with employers and recruiters across the industry. During this one day course we will share with you the tools that you need to help you find your own job and ways forward, so that you have the knowledge to go and get the job that you really want. This is a LIVE day – everything is tailored for those in the room. It is interactive; you have input and are able to ask questions and receive feedback at all times. Out of the whole day, there is only one 30 minute Powerpoint presentation – all other content is delivered with you and your unique situation in mind. Lunch and refreshments are included, along with a notebook, pen, folder and course handouts. Please see the Eventbrite page for more details, including a schedule for the day. The web editor’s role is crucial in creating readable, searchable and findable web content that enables readers to complete their web tasks quickly and painlessly. Now fully revised and condensed to a one-day course, Writing and Editing for the Web provides the essential guidance and techniques to make the most impact. Anyone who creates or has responsibility for web content, including content designers, editors, writers, business owners and publicity and marketing staff will benefit from this course. Develop a site that reaches readers before they reach for the back button. The need for content to be accurate and consistent remains a top priority for publishers. At the same time, e-books and digital publishing projects may include elements such as PDFs and web pages. Even publishing projects that will ultimately be delivered in a printed format can involve digital stages. As a result, in-house and freelance editorial staff are increasingly required to add on-screen proofreading to their armoury of skills. This digital proofreading course allows delegates to do just that. Every student will have sole use of a computer, pre-loaded with all the essential software. Everyone responsible for the editorial consistency and accuracy of web-based projects and e-books or of digital elements such as PDFs, CDs, DVDs and PowerPoint presentations will benefit from this course. The course is particularly suited to those making the transition from print to digital. Do you like to know what’s going on under the digital hood? Then this course is for you. Picking up where BIC’s ‘eBook Creation: Investigated & Explained’ training course ends, this course is a practical, hands-on look at the production of eBooks. It will investigate the different platforms, creation methods and workflows, plus their application and the pros and cons of each. The course is aimed at those who are currently responsible for the production of eBooks and for those with a small amount of knowledge of CSS, InDesign (CS4 upwards) and XML. All of BIC’s courses are designed in conjunction with a group of Production Directors from leading houses so that they focus on what you need to know. Each course contains a formal assessment recognised by many of the UK’s publishing houses. The course will provide you with the tools to brief suppliers well and to understand the overall mechanics of eBooks.